Standing Up to Colonial Power: The Lives of Henry Roe and Elizabeth Bender Cloud, will be released by University of Nebraska Press in December, 2018. 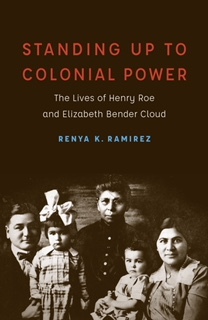 Released in December 2018, Standing Up to Colonial Power: The Lives of Henry Roe and Elizabeth Bender Cloud is the first family-tribal history that focuses on the lives, activism, and intellectual contributions of Henry Cloud (1884–1950), a Ho-Chunk, and Elizabeth Bender Cloud (1887–1965), an Ojibwe. The Clouds are not just groundbreaking intellectuals of the past, but are also the grandparents of the author, UC Santa Cruz Anthropology Professor Renya K. Ramirez. Henry Cloud and Elizabeth Bender Cloud both grew up amid settler colonialism that attempted to break their connection to Native land, treaty rights, and tribal identities. Mastering ways of behaving and speaking in different social settings and to divergent audiences, including other Natives, white missionaries, and Bureau of Indian Affairs officials, Elizabeth and Henry relied on flexible and fluid notions of gender, identity, culture, community, and belonging as they traveled Indian Country and within white environments to fight for Native rights. 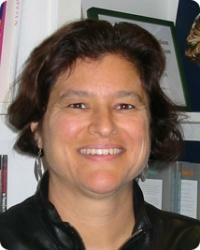 Renya K. Ramirez (enrolled member of the Winnebago Tribe of Nebraska) is a professor of anthropology at UC Santa Cruz. She is the author of Gender, Belonging, and Native American Women: The Activism of Sarah Deer and Cecelia Fire Thunder and Native Hubs: Culture, Community, and Belonging in Silicon Valley and Beyond—book was finalist for American Studies Association Lora Romero First Book Prize. She is executive producer, co-producer, screen writer, and co-director of the film Standing in the Place of Fear: Legacy of Henry Roe Cloud. Standing Up To Colonial Power is now available from the University of Nebraska Press.